G.R. No. 89662 October 1, 1999 - PEOPLE OF THE PHIL. v. FRANCISCO VILLABLANCA, ET AL. G.R. Nos. 89700-22 October 1, 1999 - AURELIO M. DE LA PEÑA, ET AL. v. SANDIGANBAYAN, ET AL. G.R. No. 107737 October 1, 1999 - JUAN L. PEREZ, ET AL. v. COURT OF APPEALS, ET AL. G.R. Nos. 120681-83 & 128136 October 1, 1999 - JEJOMAR C. BINAY v. SANDIGANBAYAN, ET AL. G.R. No. 126269 October 1, 1999 - PEOPLE OF THE PHIL. v. REGINO MARCELINO ET AL. G.R. No. 132137 October 1, 1999 - PEOPLE OF THE PHIL. v. DOMINADOR PADAMA, ET AL. G.R. No. 121939 October 4, 1999 - SPOUSES ROMAN & AMELITA T. CRUZ, ET AL. v. SPOUSES ALFREDO & MELBA TORRES, ET AL. G.R. No. 128813 October 4, 1999 - PEOPLE OF THE PHIL. v. YAMASITO VERGEL, ET AL. G.R. No. 63145 October 5, 1999 - SULPICIA VENTURA v. FRANCIS J. MILITANTE, ET AL. G.R. No. 125272 October 7, 1999 - CANDIDO AMIL v. COURT OF APPEALS, ET AL. G.R. No. 131283 October 7, 1999 - OSCAR C. FERNANDEZ, ET AL. v. INTERNATIONAL CORPORATE BANK, ET AL. G.R. Nos. 106314-15 October 8, 1999 - HEIRS OF PEDRO CABAIS v. COURT OF APPEALS, ET AL. G.R. Nos. 107132 & 108472 October 8, 1999 - MAXIMA HEMEDES v. COURT OF APPEALS, ET AL. G.R. No. 111743 October 8, 1999 - VISITACION GABELO v. COURT OF APPEALS, ET AL. G.R. No. 112483 October 8, 1999 - ELOY IMPERIAL v. COURT OF APPEALS, ET AL. G.R. No. 118624 October 8, 1999 - PEOPLE OF THE PHIL. v. RAMON ORTIZ, ET AL. G.R. No. 124298 October 11, 1999 - PEOPLE OF THE PHIL. v. RUBEN RONATO, ET AL. G.R. No. 101188 October 12, 1999 - PEOPLE OF THE PHIL. v. APOLINAR RAGANAS, ET AL. G.R. No. 117925 October 12, 1999 - TENSOREX INDUSTRIAL CORP. v. COURT OF APPEALS, ET AL. G.R. Nos. 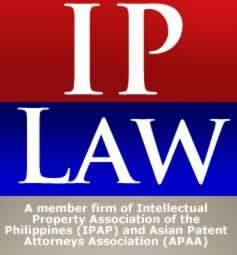 118498 & 124377 October 12, 1999 - FILIPINAS SYNTHETIC FIBER CORP. v. COURT OF APPEALS, ET AL. G.R. No. 123031 October 12, 1999 - CEBU INTERNATIONAL FINANCE CORP. v. COURT OF APPEALS, ET AL. G.R. No. 124262 October 12, 1999 - TOMAS CLAUDIO MEMORIAL COLLEGE v. COURT OF APPEALS, ET AL. G.R. No. 128805 October 12, 1999 - MA. IMELDA ARGEL, ET AL. v. COURT OF APPEALS, ET AL. A.M. No. RTJ-98-1424 October 13, 1999 - ROMULO G. MADREDIJO, ET AL. v. LEANDRO T. LOYAO, JR.
G.R. No. 102305 October 13, 1999 - FRANCISCO G. ZARATE AND CORAZON TIROL-ZARATE v. RTC OF KALIBO, ET AL. G.R. No. 102675 October 13, 1999 - HENRY C. SEVESES v. COURT OF APPEALS, ET AL. G.R. No. 103606 October 13, 1999 - RELIGIOUS OF THE VIRGIN MARY v. NLRC, ET AL. G.R. No. 109963 October 13, 1999 - HEIRS OF JOAQUIN TEVES: RICARDO TEVES v. COURT OF APPEALS, ET AL. G.R. No. 111737 October 13, 1999 - DEVELOPMENT BANK OF THE PHIL. v. COURT OF APPEALS, ET AL. G.R. No. 113899 October 13, 1999 - GREAT PACIFIC LIFE ASSURANCE CORP. v. COURT OF APPEALS, ET AL. G.R. No. 115821 October 13, 1999 - JESUS T. DAVID v. COURT OF APPEALS, ET AL. G.R. No. 116220 October 13, 1999 - SPOUSES ROY PO LAM, ET AL. v. COURT OF APPEALS, ET AL. G.R. No. 116233 October 13, 1999 - PEOPLE OF THE PHILS. v. RENATO GAILO, ET AL. G.R. No. 125534 October 13, 1999 - PEOPLE OF THE PHIL. v. SANDIGANBAYAN, ET AL. G.R. No. 133491 October 13, 1999 - ALEXANDER G. ASUNCION v. EDUARDO B. EVANGELISTA, ET AL. G.R. No. 134311 October 13, 1999 - PEOPLE OF THE PHILS. v. ELEUTERIO COSTELO, ET AL. G.R. Nos. 97652-53 October 19, 1999 - JOSE H. RUTAQUIO, ET AL. v. NLRC, ET AL. G.R. Nos. 106029 & 105770 October 19, 1999 - BENJAMIN S. ABALOS, ET AL. v. COURT OF APPEALS, ET AL. G.R. Nos. 106467-68 October 19, 1999 - DOLORES LIGAYA DE MESA v. COURT OF APPEALS, ET AL. G.R. No. 109073 October 20, 1999 - EDUARDO BALAGTAS v. COURT OF APPEALS, ET AL. G.R. No. 132564 October 20, 1999 - SAMEER OVERSEAS PLACEMENT AGENCY v. NLRC, ET AL. G.R. No. 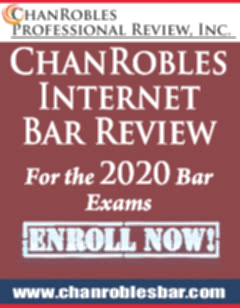 75908 October 22, 1999 - FEDERICO O. BORROMEO v. AMANCIO SUN, ET AL. G.R. No. 100353 October 22, 1999 - PNCC v. NLRC, ET AL. G.R. No. 106052 October 22, 1999 - PLANTERS PRODUCTS v. COURT OF APPEALS, ET AL. G.R. No. 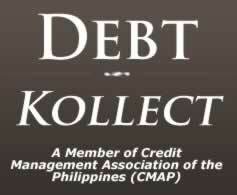 130140 October 25, 1999 - PRESIDENTIAL AD HOC FACT-FINDING COMMITTEE ON BEHEST LOANS v. ANIANO A. DESIERTO, ET AL. G.R. No. 131755 October 25, 1999 - MOVERS-BASECO INTEGRATED PORT SERVICES v. CYBORG LEASING CORP.
Adm. Case Nos. 3066 & 4438 October 26, 1999 - J.K. MERCADO AND SONS AGRICULTURAL ENTERPRISES v. EDUARDO DE VERA, ET AL. G.R. No. 65416 October 26, 1999 - CARLOMAGNO A. CRUCILLO, ET AL v. INTERMEDIATE APPELLATE COURT, ET AL. G.R. No. 108846 October 26, 1999 - MOOMBA MINING EXPLORATION CO. v. COURT OF APPEALS, ET AL. G.R. No. 111042 October 26, 1999 - AVELINO LAMBO, ET AL. v. NLRC, ET AL. G.R. No. 114087 October 26, 1999 - PLANTERS ASSN. OF SOUTHERN NEGROS INC. v. BERNARDO T. PONFERRADA, ET AL. G.R. No. 118381 October 26, 1999 - T & C DEV’T. CORP. v. COURT OF APPEALS, ET AL. G.R. No. 121483 October 26, 1999 - PEOPLE OF THE PHIL. v. ROMANO MANLAPAZ, ET AL. G.R. No. 128531 October 26, 1999 - REPUBLIC OF THE PHIL. v. COURT OF APPEALS, ET AL. G.R. No. 130439 October 26, 1999 - PHIL. VETERANS BANK v. NLRC, ET AL. G.R. No. 131483 October 26, 1999 - Tai Lim v. COURT OF APPEALS, ET AL. G.R. No. 108174 October 28, 1999 - PEOPLE OF THE PHIL. v. CRESENCIANO CANAGURAN, ET AL. G.R. No. 120852 October 28, 1999 - BENJAMIN D. OBRA, ET AL. v. COURT OF APPEALS, ET AL. G.R. No. 125214 October 28, 1999 - PEOPLE OF THE PHIL. v. ELPIDIO HERNANDO, ET AL. G.R. No. 126955 October 28, 1999 - PEOPLE OF THE PHIL. v. ROMEO TIZON, ET AL. G.R. No. 133944 October 28, 1999 - MARCITA MAMBA PEREZ v. COMELEC, ET AL. G.R. Nos. 100342-44 October 29, 1999 - RURAL BANK OF ALAMINOS EMPLOYEES UNION (RBAEU), ET AL. v. NLRC, ET AL. G.R. No. 109355 October 29, 1999 - SERAFIN MODINA v. COURT OF APPEALS, ET AL. G.R. No. 121344 October 29, 1999 - PEOPLE OF THE PHIL. v. EDUARDO ALTABANO, ET AL.